Something that kind of works but isn’t really a game. So this is what I have been up to. I have not had enough time and that will probably continue as the day progresses. Probably going to be a jam entry. The post-LD version of Gogol coming soon! Soon we will publish the post-ld version of our game. Now we are fixing bugs (yes yes the protagonist’s jump will be fixed :)), creating a new monsters and adding graphics effects. We are planning to publish post-ld version in a few days. I will be participating for my 7th time this time :). I am so excited for this one! Someone just give me a theme, I want to make a game NOW!!! Time-Lapse video of compo development! We couldn’t finish the game in time for this JDJam, but we’re not gonna stop developing it until we get to a nice, fun, polished game. For that, we’re posting it on Gamejolt, where we’ll be sure to get you in sight of the latest dev news and ask you suggestions (maybe some ideas). So be sure to follow us there and give us your feedback! It’s that time yet again! We’re doing this again! After several Dares’ missed we’re excited to give lucky number 32 a go! What we’ll be using is the standard toolset consisting of a 2d editor and some audio software and Unity 5 for a game engine. I’ve also put together a video about game development which you can check out here if you’re curious! Just the Pong part of the game i’m developing for MiniLD! Still have to do a lot of stuff, mostly related with the other (secret for now) half of the game. Feel free to leave feedback! I’m officially in! Unfortunately my friend won’t be joining this time around, but hey there’s always next time. Anyhow I think it will still be a great experience! Can’t wait, so excited to see the all the creative minds at work for these upcoming three consecutive days. I’ll also be updating my ludum dare progress on here! Anyhow I shall see you ludumdarians on the flip side, take care! Progress update. I had a small sleep between 5 and 7 as I was getting pretty sleepy and my body still thought it was night time. So far I have the foreground layer in, need the other layers in next then some camera movement, tho Im going to have to get some breakfast soon! I am pretty sure I’m going to make a go of LD14 this weekend. I will be voting in the theme rounds all week long and take a look Friday to see the theme that is picked. I will make up my mind then for sure. Why the hesitation? Well, I have a lot of things I’m already working on game wise so I have to make sure working on ANOTHER game is the best use of my energy… 😉 I do love the LD compos though.. it’s what got me back into game programming again so it will always have a lot of pull on my heart. It is just so much fun as many of you know to participate in this event. This time I’ll be using Flash / ActionScript 3.0. I have spent the past couple months learning ActionScript (first used AS2 for one game) and then another game I did in AS3 to work on my knowledge in that. Plus I’ve cranked through a couple really great books I picked up that I also highly recommend to anyone looking to make the leap. Essential ActionScript 3.0 (O’Reilly), ActionScript 3.0 Animation (Keith Peters), and Flash CS4 Professional (Katherine Ulrich). The Kongregate Shootorials were also a great place to start for AS2 and they have an AS3 version of the finished tutorial to learn from the code (it is well commented.) I learn good from books so I had to grab a few to help out. 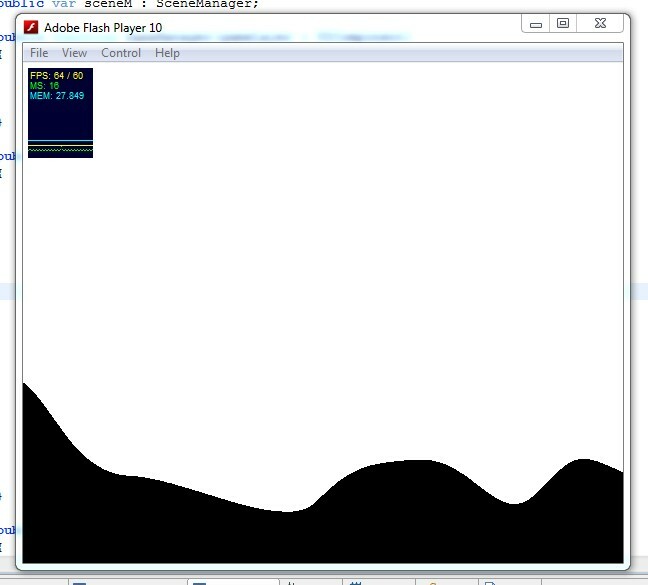 Anyway, I’ve been having a blast with Flash / ActionScript! I’ve been very impressed by how quickly you can rough out a game prototype using the Flash authoring tool and some simple ActionScript classes. I used to think that I’d be hard pressed to find as rapid a dev environment than what I was already using with Ruby / Gosu but all I can say is DAMN.. flash is fast. Plus, the added benefit of having both rapid playable cross platform versions for compo feedback as well as not worrying about the various builds after the compo and I think it builds a strong case as rapid prototyping tool geared for quick compos like this one. Looking forward to a great theme and a great compo everyone, take care! 23 queries executed in 0.140 seconds.